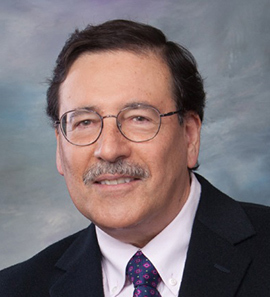 Dr. Felipe Gonzáles Castro is Professor and Southwest Borderlands Scholar in the College of Nursing and Health Innovation at Arizona State University. Dr. Castro is a Hispanic health psychologist, whose research program examines multivariate models of health behavior and behavior change, to study the role of cultural and non-cultural risk and protective factors in effecting health lifestyle, including drug, alcohol, and tobacco use. He utilizes a stress-coping-resilience paradigm to understand how cognitive, affective and behavioral factors affect health and well-being, including the expression of resilience. Dr. Castro is the originator of the Integrative Mixed Methods methodology, which offers a rigorous approach to conduct mixed methods research to examine the sociocultural determinants of health in Hispanic/Latino and other vulnerable populations. Dr. Castro has received research support from the National Institute on Drug Abuse, the National Cancer Institute, and the Robert Wood Johnson Foundation. Dr. Castro was inducted as a Fellow of Division 45 of the American Psychological Association and is a receipt of the Community, Culture and Prevention Science Award from the Society for Prevention Research. Castro, F. G., & Barrera Jr, M. (2015). Cultural Adaptation of Empirically-Validated Therapies for Treating Drug Dependence. In Textbook of Addiction Treatment: International Perspectives (pp. 1007-1027). Springer Milan. Castro, F. G., Barrera Jr, M., Mena, L. A., & Aguirre, K. M. (2014). Culture and alcohol use: historical and sociocultural themes from 75 years of alcohol research. Journal of Studies on Alcohol and Drugs, Supplement, (s17), 36-49. Castro, F. G., Marsiglia, F. F., Kulis, S., & Kellison, J. G. (2010). Lifetime segmented assimilation trajectories and health outcomes in Latino and other community residents. American Journal of Public Health, 100(4), 669-676.